Congratulations to "Toni L.", the winner in Elizabeth's giveaway. Thank you to all who participated! Deep in the Appalachian mountains, in the hideaway of a dangerous drug lord, is a bad place to finally run into your very first crush, but that’s what happens to Brenna Hartwell. She hasn’t seen him since she was eleven years old and she was tossed into foster care, but she’s never forgotten him. Her imagination couldn’t come close to how Marcos Costa had grown up: he looks like a movie star, with dark hair, blue-gray eyes, and dimples. But that’s the only thing that resembles a fantasy, because when she’s introduced to him at the drug lord’s mansion, she discovers he’s a criminal…a criminal who could very well blow her cover. She’s pretending to be a foster care worker willing to trade access to the system for money, and although Marcos doesn’t know anything about what happened to her after the fire that destroyed their foster home all those years ago, she can tell he’s suspicious. And so is she. Because although he’s got a perfectly logical explanation for it, he’s using a different name. And she just can’t picture him as a drug dealer. Brenna couldn’t help herself. She looked at him now and she still saw the boy who had opened the door for her, taken her pathetic suitcase in one hand, and her hand in the other. That foster home hadn’t been anything close to a real second home to her, but she’d realized after being sent away a few months later that she’d gotten very, very lucky at that first introduction to life in the system. She’d gotten very, very lucky meeting Marcos. She longed to tell him the whole truth, but that was beyond foolish, and one more sign that her boss was right. She wasn’t ready for undercover work, wasn’t ready for an assignment like this. If she told Marcos the truth, she’d be dead by morning. Still, she couldn’t help wondering what he’d say. The words lodged in her throat, and she held them there. 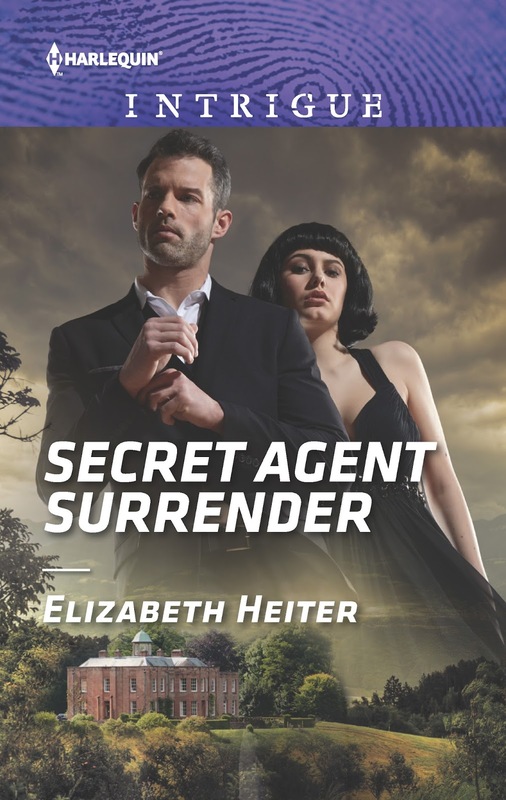 For a chance to win a copy of Secret Agent Surrender, share something about your very first crush! This undercover agent can't disguise his true desire! Undercover DEA agent Marcos Costa is shocked to see Brenna Hartwell—his very first crush—cozying up to the brutal drug lord he's about to bust! He hasn't seen her since childhood, but he never imagined she'd turn to a life of crime. What the hunky agent doesn't know is that Brenna's working her own bust as a rookie cop undercover. Brenna didn't think she'd ever see Marcos again, especially not on her first undercover mission! She knows she has to keep her distance…but while she and Marcos play out their daring ruse, their youthful passion reignites. One wrong move could blow their covers. Can two loners used to self-reliance trust their lives—and hearts—to each other? Critically acclaimed and award-winning author ELIZABETH HEITER likes her suspense to feature strong heroines, chilling villains, psychological twists, and a little bit (or a lot!) of romance. Her research has taken her into the minds of serial killers, through murder investigations, and onto the FBI Academy’s shooting range. Her novels have been published in more than a dozen countries and translated into eight languages; they've also been shortlisted for the HOLT Medallion, the Daphne Du Maurier award, the National Readers' Choice award and the Booksellers' Best award and won the RT Reviewers' Choice award. Giveaway ends 11:59pm EST July 20th. Please supply your email in the post. You may use spaces or full text for security. (ex. jsmith at gmail dot com) If you do not wish to supply your email, or have trouble posting, please email maureen@justromanticsuspense.com with a subject title of JRS GIVEAWAY to be entered in the current giveaway. Had a mad crush when I was in junior high on a boy in high school. He worked at a department store during the summer. My girlfriend and I used to walk two miles just to spy on him. Today that would probably be considered stalking. Back in the 60's it was harmless fun. High school boy would come see his mother during the summer. We lived right by and lake and would got swimming. This was during the mid 70's. And he was my sweet sixteen kiss. In high school I had a crush on a boy who sat in front of me in class. I doubt he knew I existed. Not meant to be obviously. First crush? That was soooo long ago. Going back 55 years or so, it was probably in 5th or 6th grade. I think his dad owned a local diner. I was in college before I had my next crush, on a fellow student. I have just finished the first two books in this series and really enjoyed them(reviews coming soon). I have been looking forward to Marcos and Brenna's story. If you haven't read the first two books in the series, you will miss out if you don't. I am sure this will be enjoyable even as a stand alone, but his two brothers are worth meeting. Knowing their stories and the overall story arc will add much to this book. Lost touch with my first big crush when he moved away when I was in HS. Was shocked when I found out he passed away 30 years ago. I really liked the boy who sat across from me in first grade. I moved away the summer after grade 3 so I never saw him again. I still think about him once in awhile.